Nothing new about the design. 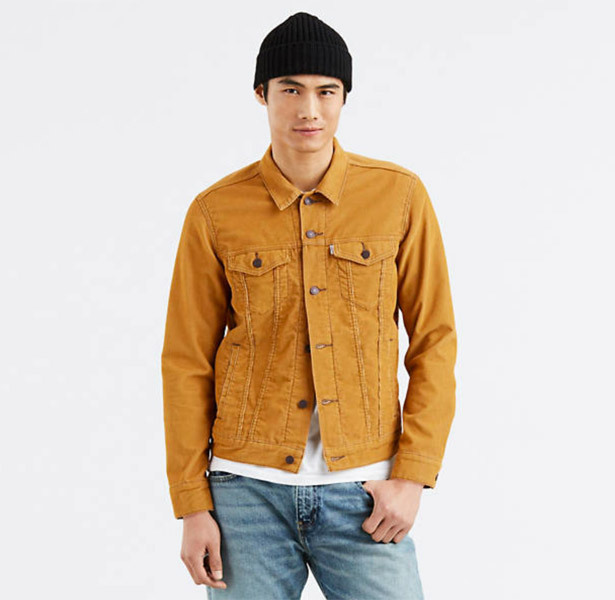 But I like this Levi’s classic trucker jacket in light brown cord. Not that I’m sure this is a light brown. The official term for the colour os ‘wood thrush cord’ if that means anything to you. Might be a touch of orange going on there as well. Either way, this is a new colour for a vintage classic. 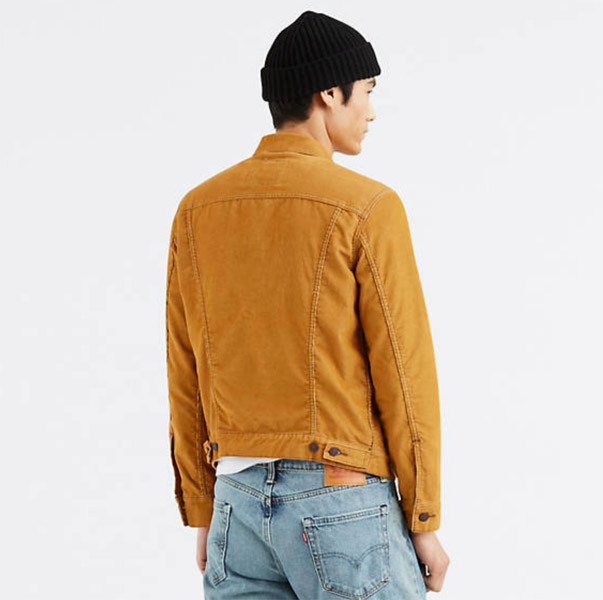 The trucker jacket, as you probably know, dates back to the 1960s. Has it changed much? Well, these things always get tweaked. I’ve got some vintage ones from the 1970s that probably have a different cut, slightly different collar size, and so on. I’ not sure if the old ones have side pockets either. But overall, you are looking closely for those details. Generally, not a lot has changed. As I said, the colour has changed here, with this being a new arrival at the Levi’s site. Regular fit, point collar, button front, side hem adjusters, button closures on the cuffs, button-flap patch pockets on the chest and welt side pockets. £85 is the price. If you want a different colour, you can browse all the current finishes at the same page too.